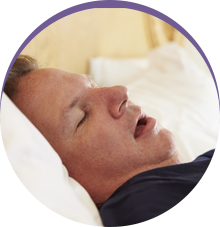 One health hazard that is often associated with sleep apnea is high blood pressure. Why? When you repeatedly stop breathing during the night, the oxygen content in your blood is reduced. Therefore, in order to supply vital organs with sufficient oxygen, you heart pumps harder and the result is high blood pressure. The problem is that this high blood pressure isn’t only restricted to nighttime hours when you sleep. Rather, the pattern continues throughout the day, making this consequence all the more harmful to your health. 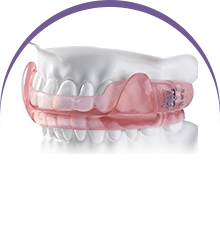 Researchers believe that around 80 percent of people with type 2 diabetes also have sleep apnea. This connection may be due to the possibility that not getting enough sleep compromises your body’s ability to use insulin properly, which is often a precursor to diabetes. And furthermore, obesity raises a person’s risk for both disorders. Speaking of obesity—people who are overweight are more likely to develop sleep apnea. And there’s a double-edged sword: sleep apnea can make losing weight more difficult. Overweight people tend to store fat around the neck, which can interfere with breathing while you sleep. And people with sleep apnea have more of the hormone ghrelin, which increases a person craving for carbohydrates and sweets. If you’re tired during the day because of sleep apnea, then you may want to take a nap. 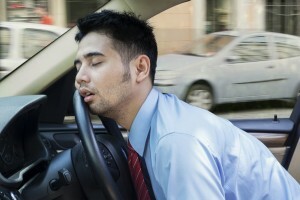 The problem is some people unwittingly take that nap while they’re driving. In fact, people who have sleep apnea are five times more likely to be involved in a car accident than a person who sleeps well at night. 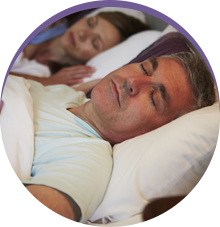 If you would like to treat your sleep apnea, so you can sleep better at night and have healthier days, then call Sleep Rehab in Garland, TX.